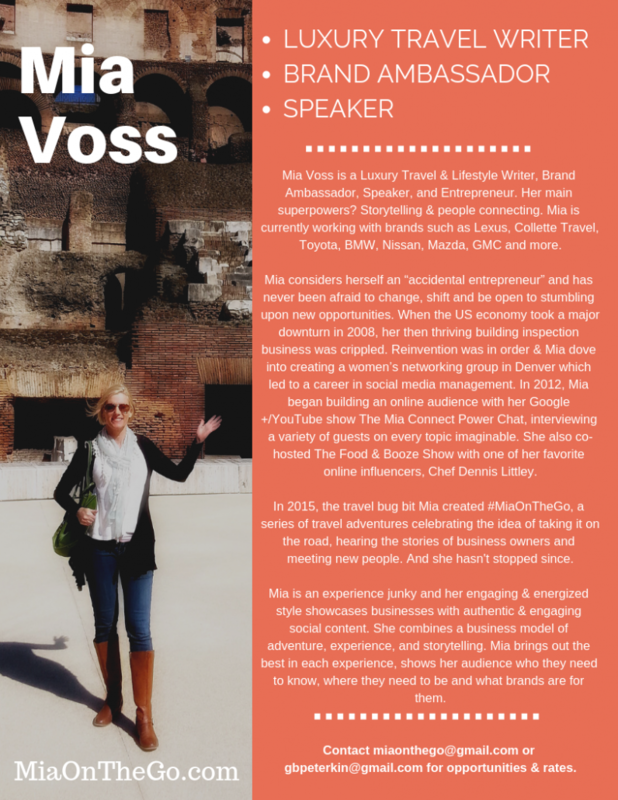 Mia Voss is a Luxury Travel & Lifestyle Writer, Brand Ambassador, Speaker, and Entrepreneur. Her main superpowers? Storytelling & people connecting. Mia is currently working with brands such as Lexus, Toyota, BMW, Nissan, Mazda, Collette Travel and more. Women are responsible for 85% of the overall household buying decisions and Mia represents women 40+ who are discerning and educated buyers. Her audience demographic is 50/50 male/female between the ages of 35-60. Her travel coverage style includes social media posts, targeted trackable hashtags, “real-time” social coverage use Instagram stories and livestreaming and blogposts. Mia also has a unique social strategy and has assembled a group of Influencers who strategically share her content during sponsored trips. The combined numbers of her group creates an opportunity for sponsors to get in front of a larger audience. Mia considers herself an “accidental entrepreneur” and has never been afraid to change, shift and be open to stumbling upon new opportunities. When the US economy took a major downturn in 2008, her then thriving building inspection business was crippled. 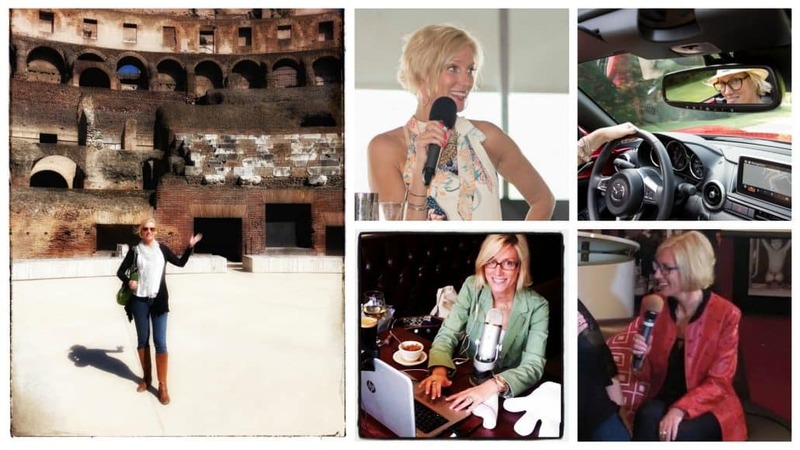 Reinvention was in order & Mia dove into creating a women’s networking group in Denver which led to a career in social media management as well as an online interview show that ran on Youtube & Google Plus for over 2 years. In 2015, the travel bug bit and created #MiaOnTheGo, a series of travel adventures celebrating the idea of taking it on the road, hearing the stories of business owners and meeting new people.